I know teacher appreciation week was earlier this month, but I wanted to give one more token of our appreciation to the teachers who have worked with our kids this year. 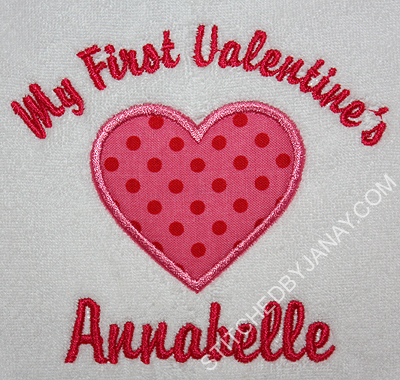 Conveniently a couple of designs I had the opportunity to test for Embroidery Boutique worked perfectly! 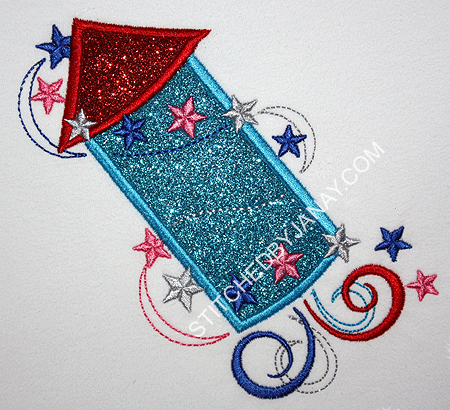 This is EB's Split Pencils design. 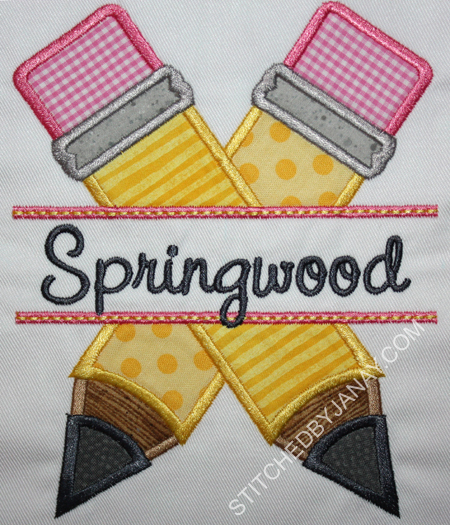 I added the name of our school with EB's Chloe. 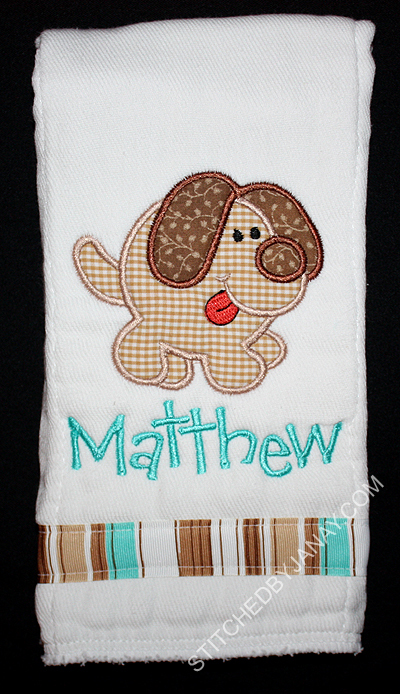 I had fun picking fabrics for this! 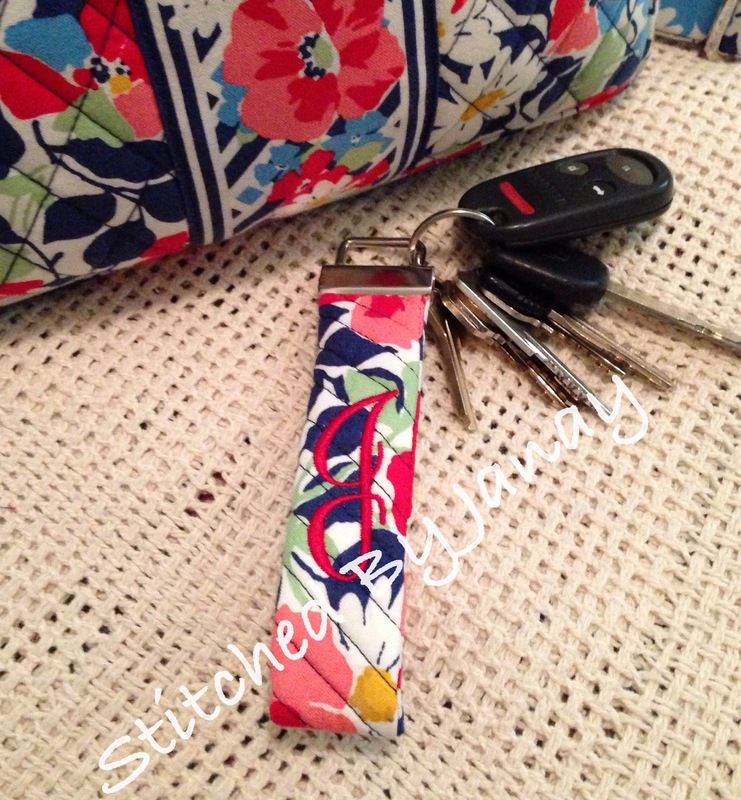 And for Ms Cindy... several weeks ago she misplaced her school keys (with the key fob I had made her a couple years ago). 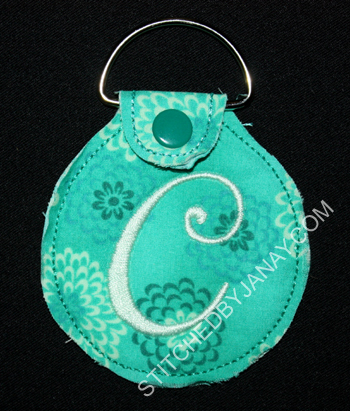 I decided to replace it, but with something new, Embroidery Garden's new Shabby Key Ring (a freebie on her yahoo group). I added the C with 8CP's Linda. What are your plans this summer?? 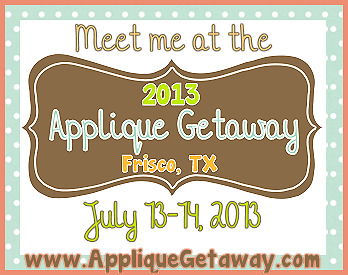 I am SO EXCITED about Applique Getaway! 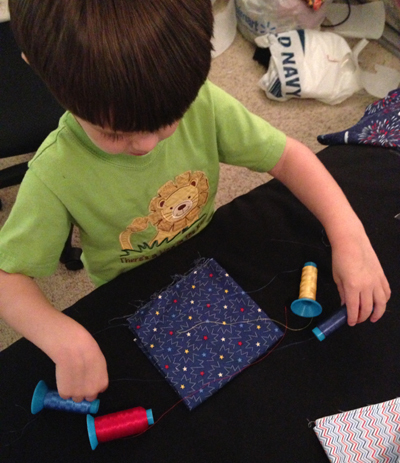 I'll be road-tripping with my kids, leaving them with my parents, and getting to enjoy a couple of days discussing and learning more about one of my favorite things -- Machine Applique! 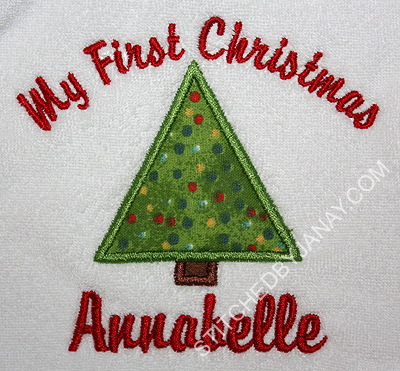 But to be completely honest, I'm more excited about meeting some of my favorite digitizers... Lynnie Pinnie, Embroidery Boutique, DigiStitches, Itch 2 Stitch, just to name a few... Check out this lineup!! So if you haven't made plans to come please try to make it! 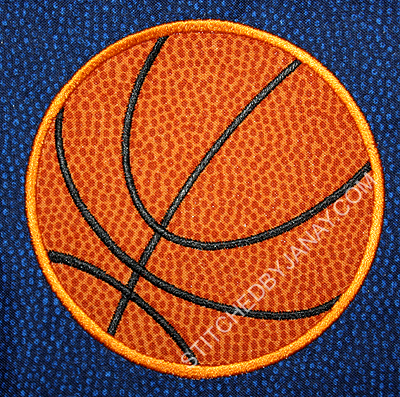 Early registration ends tomorrow! Also become a fan of Applique Getaway on Facebook, they are very close to 2000 fans, at which point they will giveaway another free registration! 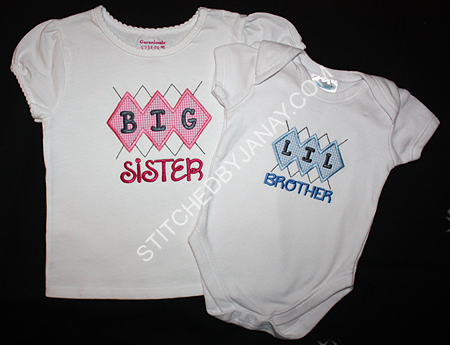 She also picked the following two designs for her new granddaughter. 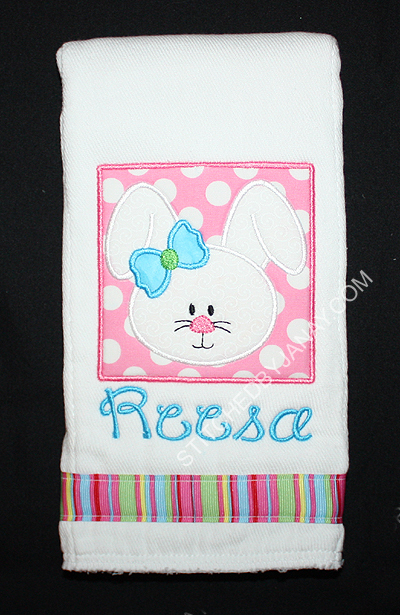 I used I2S's Bunny Box Girl Face and added Reesa's name with 8CP's Janessa. 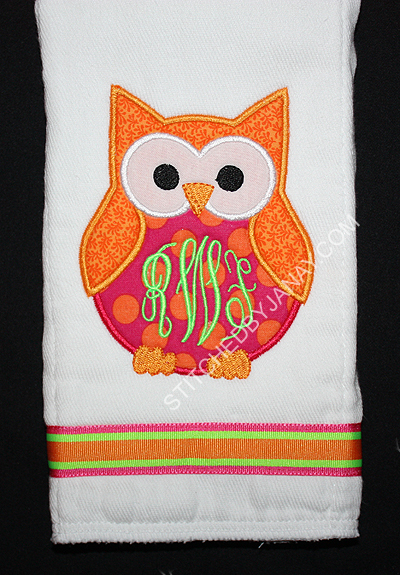 This is I2S's Monogram Owl with the smallest size of their Fancy Circle Monogram. 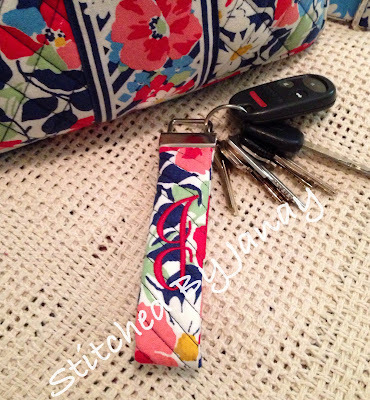 This bright color scheme is unusual for me, but I really like how it turned out! 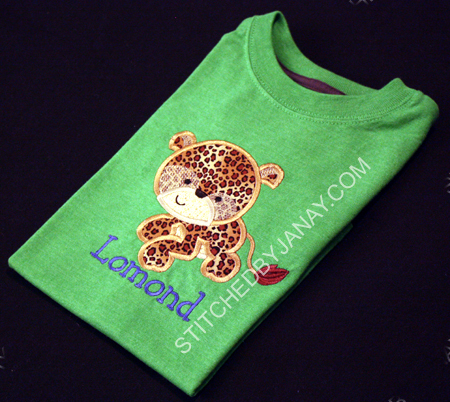 Remember that cheetah shirt I made Lomond? 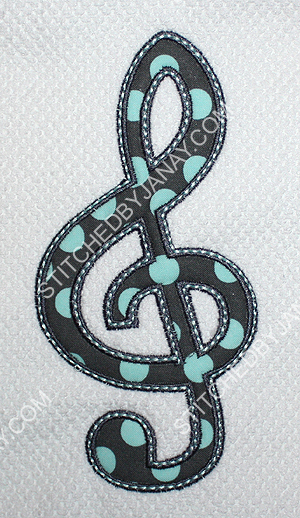 Well I also wanted to test a version with the spots, so I put it on a burp cloth for Kaz. 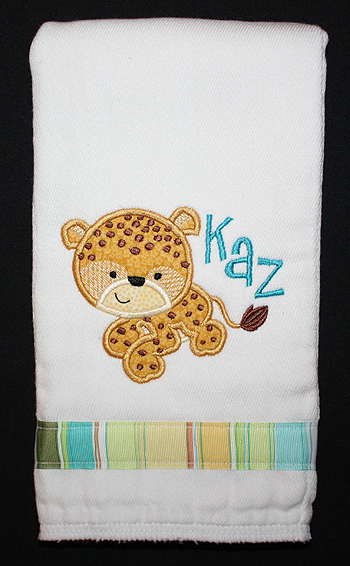 Baby Cheetah design is from Lynnie Pinnie, and I added his name with 8CP's Misfit. 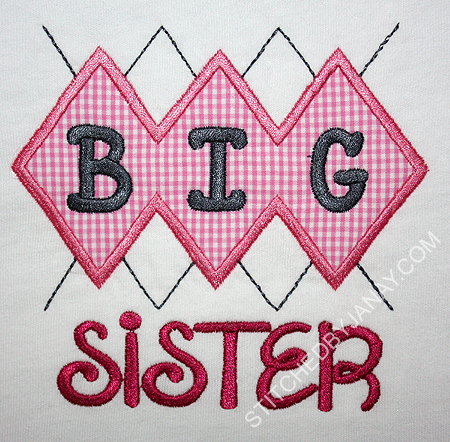 Michelle picked this design for a burp cloth, which is just perfect since Kaz's daddy competes in strongman competitions. 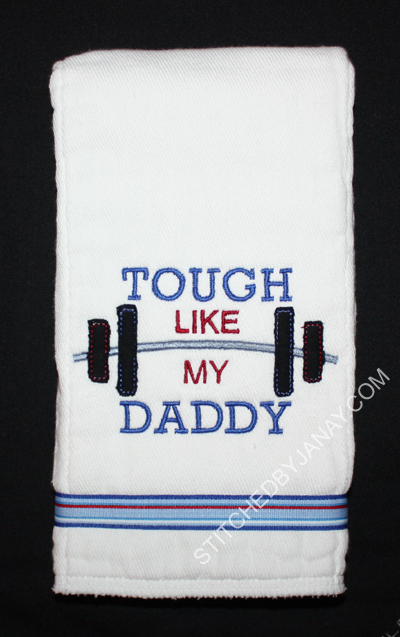 The Tough Like My Daddy design is from All Things Appliqué. 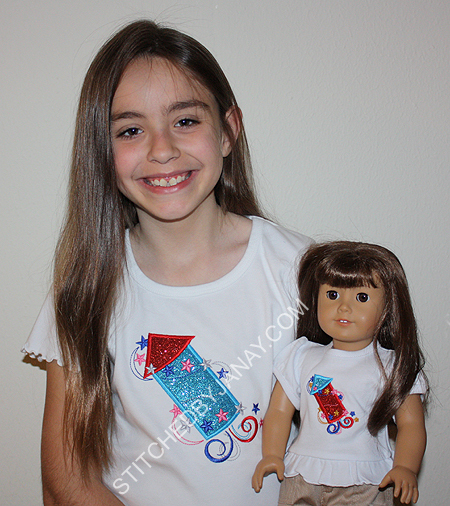 My kids are ready to celebrate this summer thanks to their mommy getting to test new designs for some of her favorite digitizers! 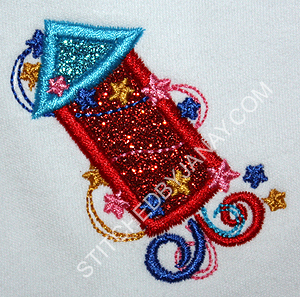 So I polled the other LP testers to get suggestions for how I should rearrange the colors, and decided to swap the glitter fabrics and replace the gold with silvery gray. Much better! 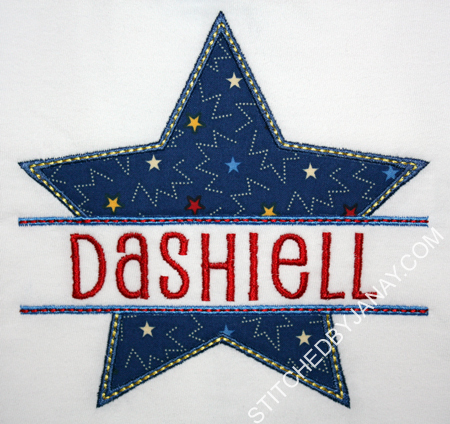 I got to test Embroidery Boutique's Split Single Star design, and added his name with 8CP's Puppy Love. 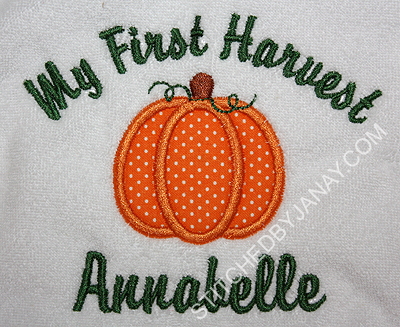 Last year I made her an applique name pillow to match her bedding. 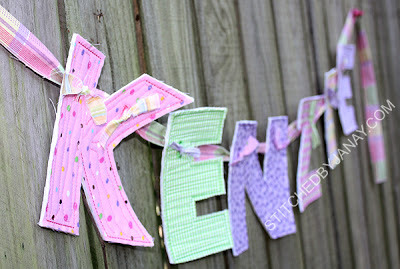 This year I made a name banner using the same fabrics to match! Here it is hanging in her room! 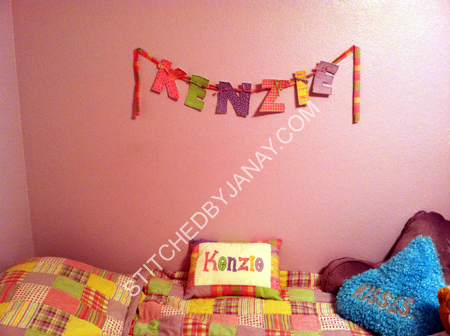 You can also check out Kylie's banner hanging in her newly decorated room here. 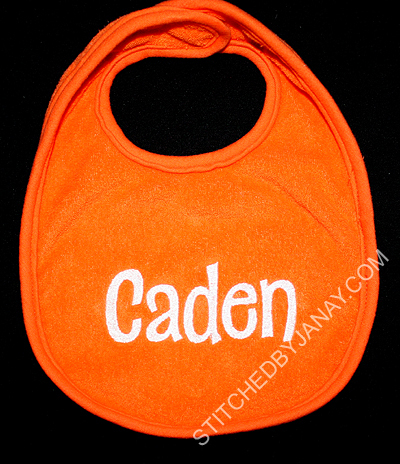 Monogrammed bib for Caden. I used 8CP's Pops. 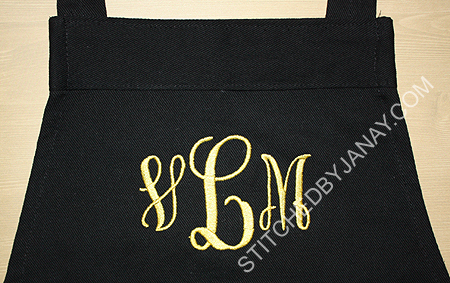 Added a quick monogram to this shirt. Annaliese picked 8CP's Be Mine. Pardon the pic, the shirt has been worn and washed several times, but the "completeist" in me requires that it be posted. ha! 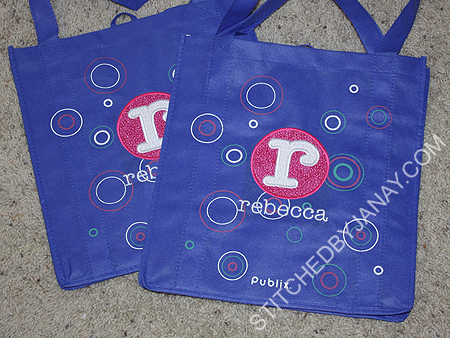 And my friend Rebecca mentioned wanting to get some Publix bags before she leaves the south. 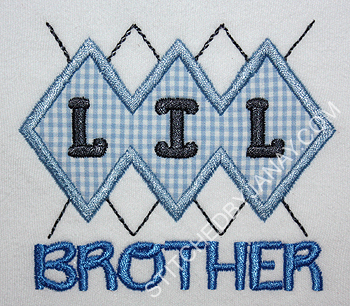 I still had a couple of these pretty blue ones in my stash, so like the previous ones I have done for teachers, I added her monogram with LP's Taylor font. 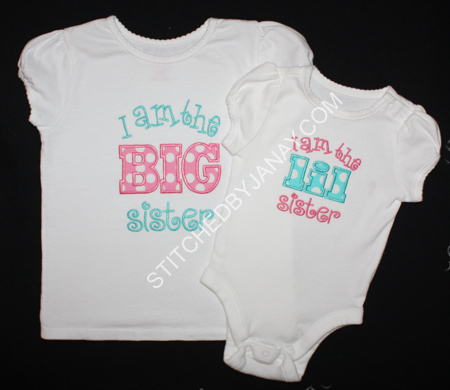 Michelle ordered this set of sibling shirts for her granddaughters, so sweet! 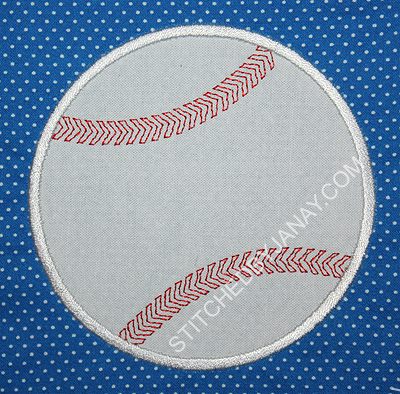 These designs are from The Itch 2 Stitch. 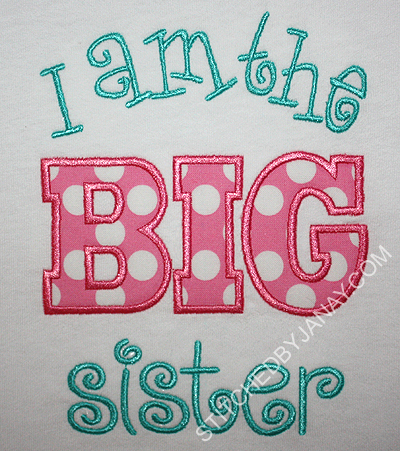 When Kaz arrives he will make Kendal a big sister. 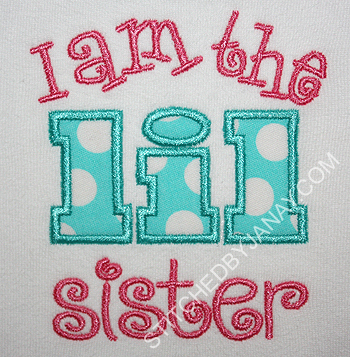 I used this as an opportunity to try out a new set of sibling designs from Original Stitches! 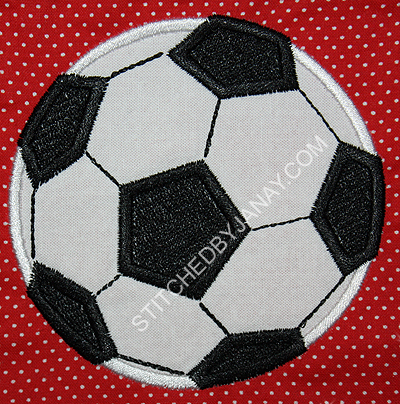 I debated for quite some time what fabric I should use. I finally settled on good ole gingham, and love the results! Friends of ours back home are expecting a baby boy and their shower was this weekend. 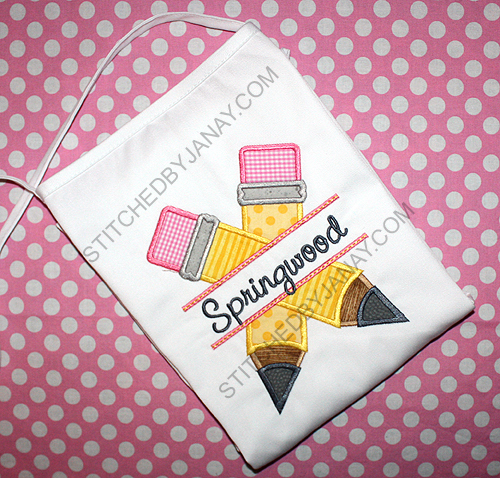 Mutual friends of ours requested a couple things, and I sent a couple things from us, too! 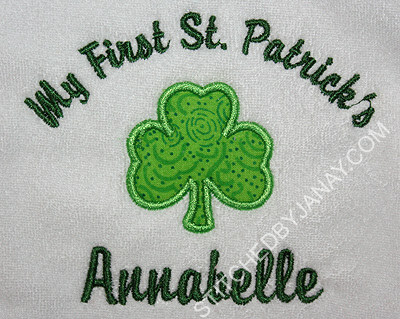 First, this onesie. 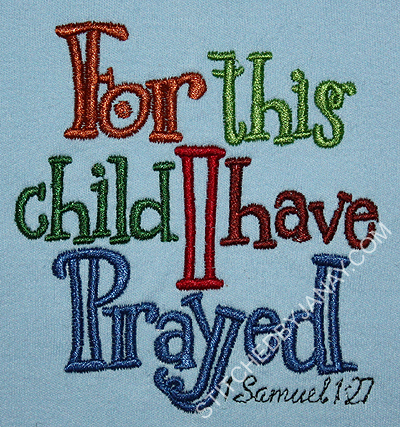 I'm confident the verse is true for many, many babies, but it is especially true for this one! 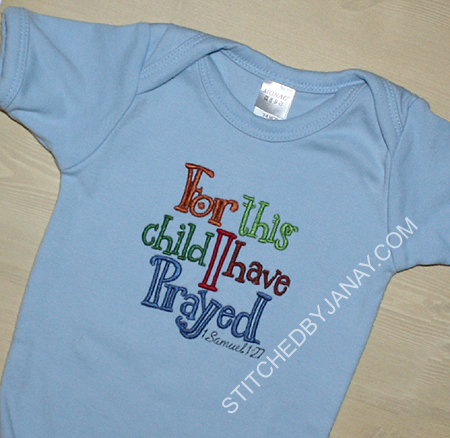 The "For this Child I have Prayed" design is from Lynnie Pinnie. 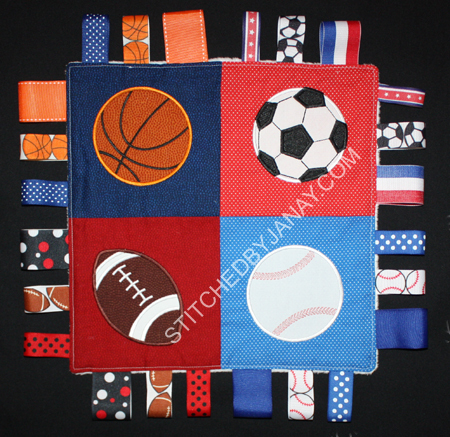 Jason and Anna's boys love the ribbon blankets I made them (Torin, Nolan), so they requested a sports themed ribbon blanket for baby Young, incorporating the Youngs' favorite teams. 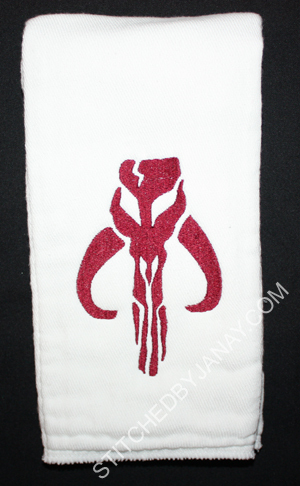 Finally, a special request from one nerd dad to another. Any guesses what this is?!? 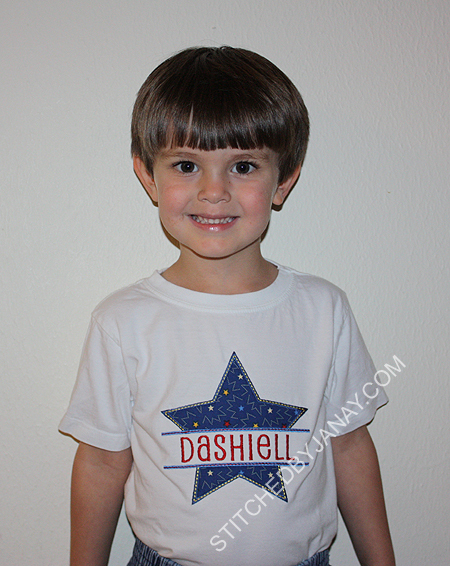 My little friend Maddie turned three and is celebrating with a gymnastics theme. 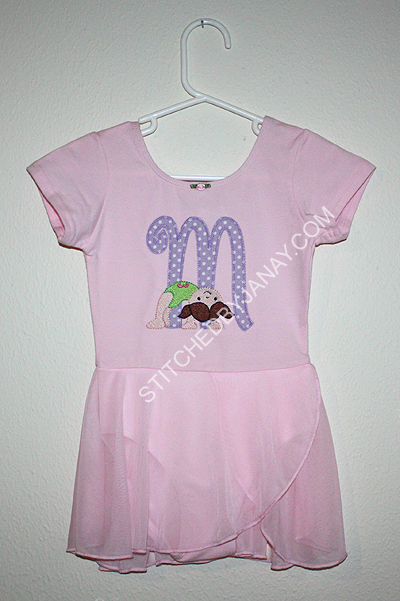 Her mommy bought this cute leotard, showed me the customized party decor she ordered from Etsy, and I got to work putting together a coordinating design! 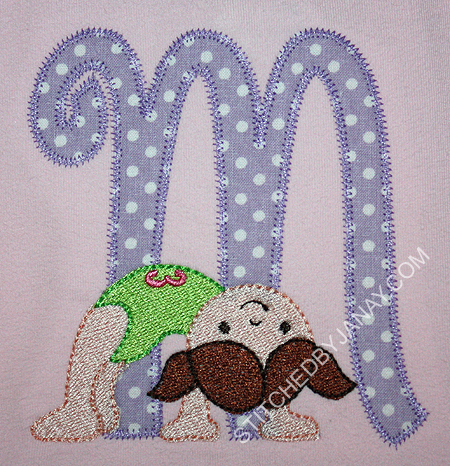 The applique M is from EB's Swirly Applique. The little girl is from DBJJ's Cute Gymnasts. I added the "3" using an Embird Alphabet. 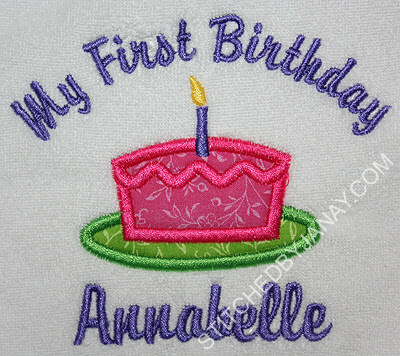 It was a subtle way to add her age, and I love how it turned out! 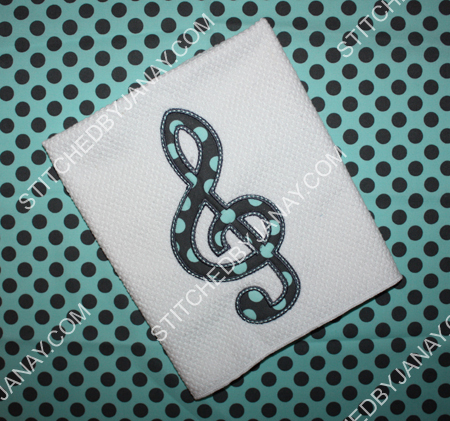 I figured it would be an easy request to fill BUT... there was no cute cheetah design to be found! 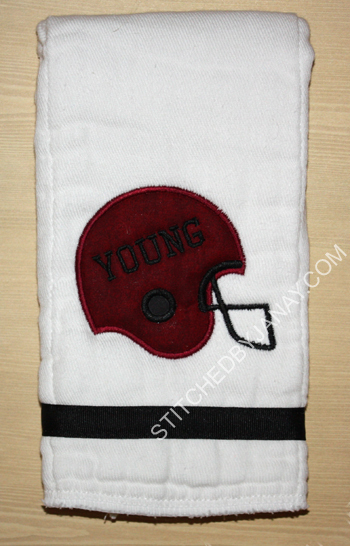 This is when it's super handy to be a tester for a fabulous digitizer. 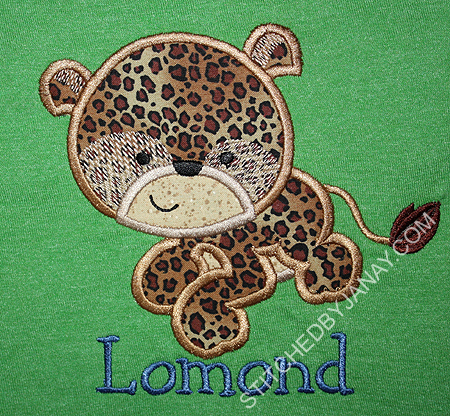 I inquired, and Lyndsie happened to already own a set of clip art that had a cute cheetah (that met Lomond's approval) so she created this cute design! 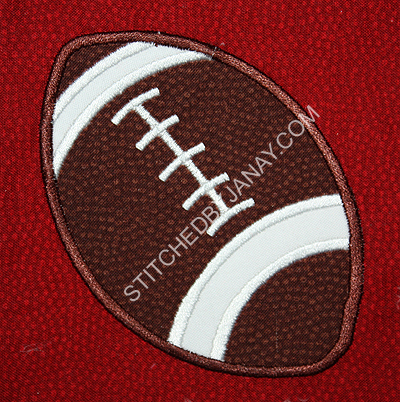 The Baby Cheetah applique from Lynnie Pinnie comes with lots of dots, but it's the last step so you can omit them if your little friend chooses cheetah print fabric instead. :) I added his name with 8CP's Cleopatra. 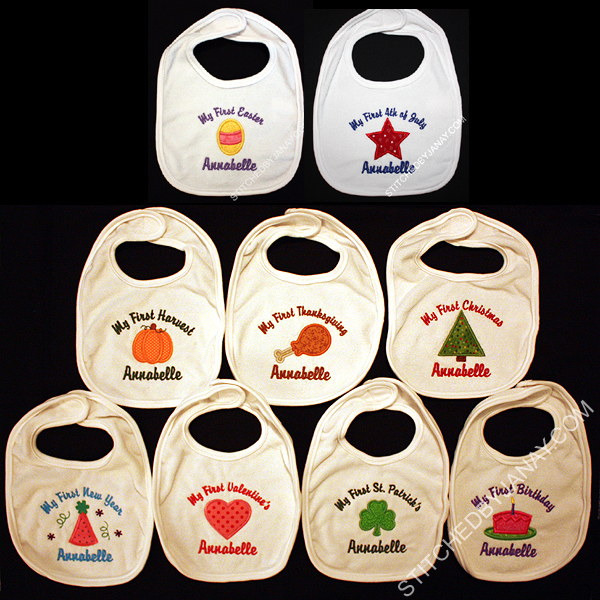 Sue requested a set of holiday bibs for her granddaughter, and I just couldn't find a complete set of designs that I liked, so I came up with my own! And now, six weeks after her first birthday, I'm finally posting pictures! I used Embird alphabet #7 for all the text. 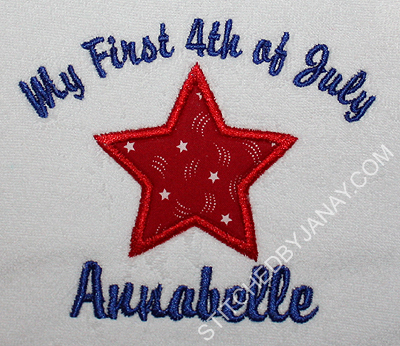 For the Fourth of July bib I used a freebie star from My Embroidery Haven's yahoo group. 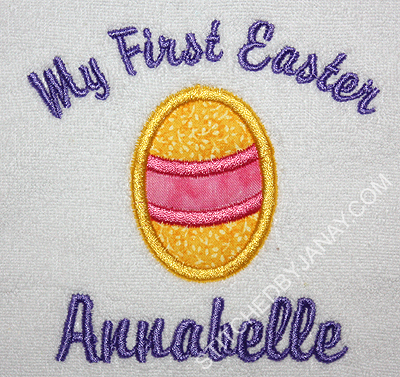 And finally for the First Birthday bib, I used the cake from the previously mentioned birthday collage. 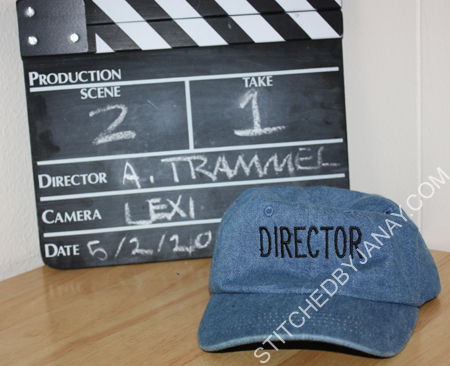 This was a fun project!! SODA-lighted you were my teacher!